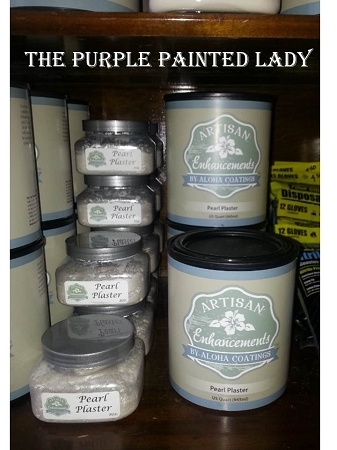 Pearl Plaster by Artisan Enhancements creates an opulent and luxurious pearly - luminous finish. Once applied, the finish will resemble velvet with a shimmering pearlescent vibrancy. Pearl Plaster is a low VOC coating that will adhere to any properly primed and prepared surface. Pearl Plaster is formulated for use on primed walls and furniture. How To Use: Pearl Plaster can be painted, troweled or rolled on for different results. It has the consistency of jello/pudding. Which- may surprise you when we share- it spreads incredibly smooth and easily! It can be dry brushed, mixed with paint to be tinted (although it will still be opaque) or pushed very easily through a stencil. Pearl Plaster works like a charm with the regular latex paints or Chalk Paint®. Normally you need 3 parts Pearl Plaster to 1 part Chlak Paint®. 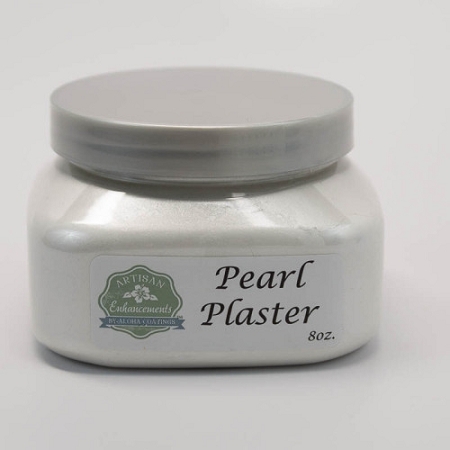 With latex, you can get the pearly look much easier with less Pearl Plaster. Try a 2 to 1 ratio in a small amount and see if you get the look you are wanting. We sometimes just take the Pearl Plaster to home depot and just have them tint it and mix it. They do it for free. You can wax over Pearl Plaster or just Topcoat (or both). If applying to a wall, apply a skim coat with trowel or brush directly on surface. If using trowel, place material on edge of at a 45°angle and cover entire area. Work material from wet to dry area. Once first coat is properly dried, repeat the process if desired. As material starts to setup, smooth down with trowel to obtain velvet effect. Pearl Plaster can be painted or rolled on for different results or faux effects. 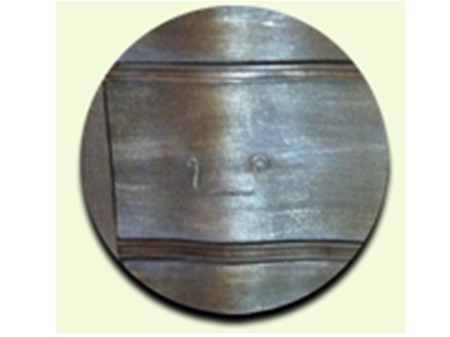 We often get requests for metallic Chalk Paint®. This video on using Artisan Enhancements Pearl Plaster and Scumble is excellent for this! Product Storage: Seal container tightly and do not let freeze or expose to direct sunlight or extreme heat. Do not apply product when air and surface temperatures are below 50°F (10°C). Comes in 8 ounce jar or quart size.